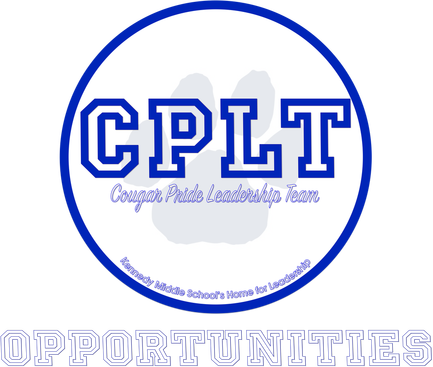 There are many opportunities to help out around KMS for the CPLT, besides coming to meetings. If we are looking for someone to do something, it will often be below, so take a look! If the event requires you to fill out a form, see the adviser listed to discuss any plans. You must be a member of CPLT to sign up for these events, but you do not have to be on the Leadership Team to be a part of Interact Club. ​​​Scroll all the way down this page to see all Continuous Opportunities and Upcoming Events, sometimes one column is much longer than the other! 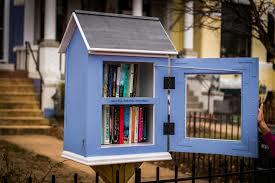 We will be creating a "Little Free Library" that will go outside the front of Kennedy. This library will be constructed to look like our current Kennedy Middle School. It will move along to the new KMS so that there is still a little bit of the original Kennedy Middle School building. With help from Mrs. R in the library and Mr. Stefanini, we are putting this project into action! We will be working on this project when Interact Club meets (every other Tuesday). We will meet in the upstairs cafeteria. Please plan on meeting then or let Mrs. Dwyer know if you are interested but can't make it on the days we meet. This is an example of a "Little Free Library." Peer Tutoring is open to all students, not only Community Service members. Please sign up on the calendars on the new CPLT Bulletin Board in Cafe 110 (Language Cafe), outside of Mrs. MacDonald's office. See the adviser listed with any questions. Join Interact Club today! Interact Club meets every other Tuesday in the Upstairs Cafe. Each meeting we work on different projects, whether it be planning a food drive, hanging up posters, art projects, helping teachers, you name it! See the adviser listed with any questions. Check out the Updates blog for information about all of the opportunities to help out with Kindness Week! Please email Mrs. Dwyer back ASAP if you are interested and I will pass along your name to Mrs. Chakiris. Please seriously consider participating.